Designed to transform who wants to be the best they can ever be. 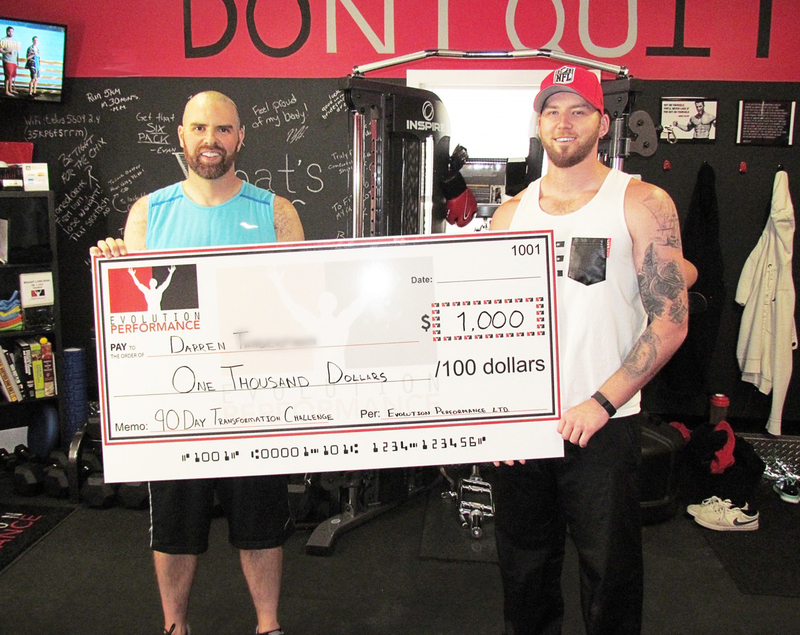 Our first 90 Day Transformation Challenge saw Darren lose more than 30 lbs to take home the $1000 grand prize! 10 participants took on the challenge, and we watched as they transformed their bodies, their minds and their future. The contest was such a success we can’t wait to do it again. This year we decided to up the ante and increase the grand prize! Kicking off January 1st , 2018, don’t miss your opportunity to get that body you’ve always wanted. No regimented diet, no confusing methodology, just challenging sets and rules of living that have a big impact in a short period of time. Consistency, commitment and hard work. 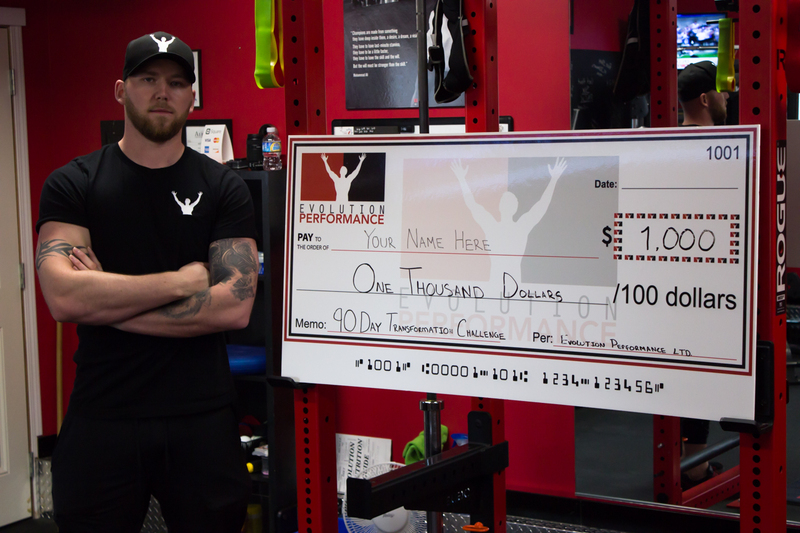 That’s how our finalists have lost body fat, increased muscle, dropped the pounds and won some cash. It’s effort worth applauding. No matter your starting point, no matter what your objective is, it’s time to rapidly transform your physique and finally achieve your goals… forever! Register between the dates of January 1st – September 1st, 2018 to complete your 90 day challenge. All contestants will be entered to win the Grand Prize of $1000 Cash, $500 gift card to Supplement king and an Evolution Performance swag bag! ** All contestants must be clients of Evolution Performance and train at the facility on a weekly basis. Contact us today for more details on how you can sign up and be our next Grand Prize Winner!